While many of us are busy spring cleaning our houses and garages, don't forget about your make-up drawer. Spring is a great time to check expiration dates, update colors and lighten up your beauty routine with some new trends. This post includes affiliate links to some of my favorite products. 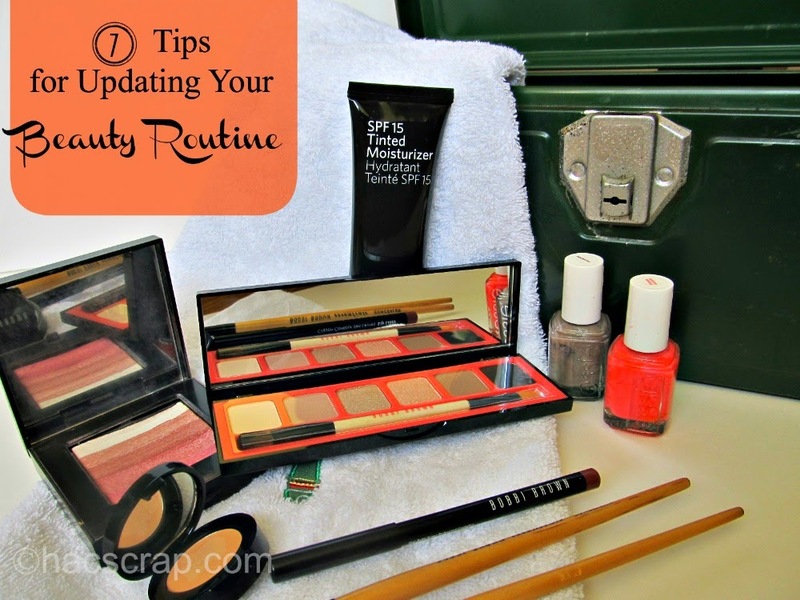 Pull out all your current make-up products. Throw away any that you no longer love, that are broken, discolored or past their prime. Typically, mascara lasts about 3 months after opening, liquid eyeliner about 6 months, and most other liquids and creams last about 12 months or longer. Clean up your tools. Now is a great time to wash your make-up brushes with a little baby shampoo. You can also wipe down your compacts, bottles and tubes. Lighten up. If you typically wear foundation, consider switching to a tinted moisturizer for spring and summer. Bobbi Brown makes one that I absolutely love and it has an SPF built right in. Check your skin-tone. In the summer, our skin may be a little darker, so make sure any tinted moisturizers, foundations and concealers are the right shades. Add some new fun colors. Coral is hot this spring, as are pastels. Pretty neutrals are always a great choice for summer sun-kissed skin. Get glowing. If you haven't tried a "color brick" or one of the new bronzers, you may be pleasantly surprised. I've become a huge fan of the color brick and I love how the various shades make my skin look so vibrant and alive without those tacky circles of "blush." Finally, don't skimp on skin care. The secret to great make-up is great skin, so make sure your skin care routine is up to date too. Got any tips or trends to share for spring beauty? Leave a comment and fill us in.